The APC propaganda machine exploited ordinary Nigerians by encouraging them to be co-producers of a false reality, according to the former leader. Former president Goodluck Jonathan, on Tuesday revealed how the APC propaganda machine encouraged the masses against his administration prior to the 2015 presidential elections. ” The electorate was programmed to see my administration as the villain. 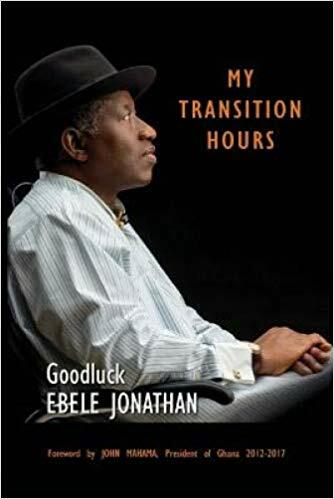 If someone was conducting an experiment on how propaganda could be used to bring down a government, it worked, Jonathan said in his book titled: “My Transition Hours”. ” It was a roaring success. Only it did not work without a very expansive conspiracy network, the consequences of which was too costly in lives and limbs. ” The Chibok girls incident happened under my watch. As president, the buck stopped at my table and I must take responsibility. However, for the Federal Government to succeed, the co-operation from the state is paramount but we did not get that from Borno state. How could the state have rejected the request from the federal government to relocate the students? ” While we strategized on possible ways to rescue the girls, the opposition worked up groups and interests in a festival of protests, Jonathan said in a copy of the book obtained by Per Second News. ” They maximized the mileage offered by the situation. ” At a point, the entire campaign of the opposition was riding on the girls. ” I thought these people could even pray that the girls stayed wherever they were until they were through with their scheming. Jonathan also revealed in the book how he wrote to Presidents of the United States, france, China, Israel and the U.K Prime Minister for help in locating the girls.